The EU Ecolabel is a voluntary scheme that awards environmental performance certificate to products and services that meet specific, identified criteria depending on the product groups, which reduce overall environmental impact. The functioning of the EU Ecolabel is set through a Regulation of the European Parliament and of the Council. EU Ecolabelled products and services can be trusted because, from production to use and disposal, they have been assessed to reduce their environmental impact. Scientifically sound criteria are developed in a transparent way involving scientists, NGOs and stakeholders to enable consumers to make environmentally responsible choices. The EU Ecolabel is moreover awarded by independent third-party organisations. The EU Ecolabel logo is a guarantee to consumers that the product they are considering for purchase has a lower environmental impact in comparison to similar products on the market. By buying such products, consumers are making a commitment to the future of the environment. This is because products have to follow tough criteria before they receive the EU Ecolabel. Once approved for an EU Ecolabel, the producer can place the EU Ecolabel logo anywhere on the product and packaging. The scheme is currently open to all products and services, except for food, drinks, pharmaceutical products and medical devices. So far, thousands of products across a huge range of product groups, including textiles, soaps and shampoos, and tourist accommodation have already received the EU Ecolabel. Discover [http://ec.europa.eu/environment/ecolabel/eu-ecolabelled-products-and-services.html] the full list of established product groups. Click here to see figures on the number of EU Ecolabel products so far. Each state of the European Economic Area designates a Competent Body, an independent and impartial organisation that implements the EU Ecolabel scheme at national level. 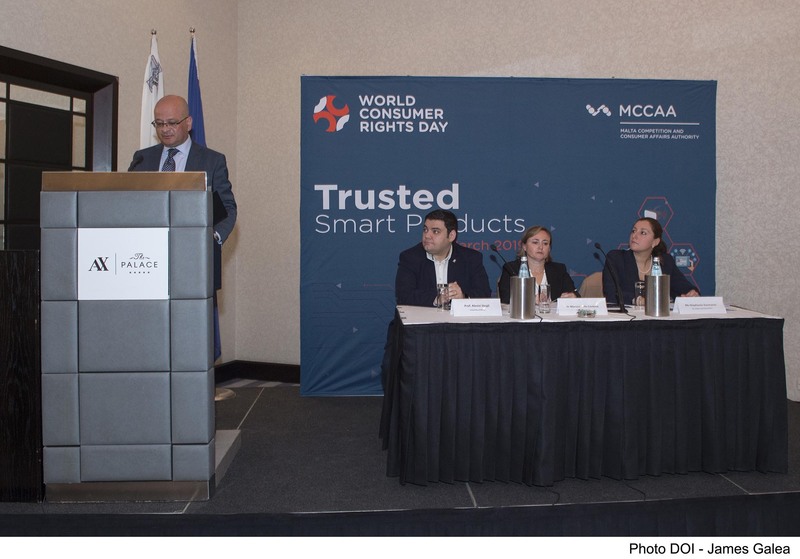 In Malta, the MCCAA has been designated by the European Commission as the Competent Body that assesses applications and award the EU Ecolabel to products and services that meet the criteria set for them. It is the first contact point for interested parties to learn more about the scheme, submit an application or ask any questions about the application process or the scheme in general. The European Commission has published brand new criteria on EU Ecolabel cleaning services that provides exigent guidelines for B2B and B2C cleaning companies looking to lower their environmental impact and guarantee the efficiency of their environmental actions. The label demonstrates the companies’ commitment to the well-being and safety of their employees by decreasing their exposure to toxic substances. The criteria also prioritises cleaning products that are ISO Type I labels like the EU Ecolabel, but also Nordic Swan and Blue Angel. Further information can also be found at the European Commission Ecolabel website.